Arrow Termite & Pest Control has served the Lafayette community for almost 60 years. Lafayette pest control comes with challenges, but we have helped hundreds of customers over the years and killed more bugs than we could possibly count. Each of our clients receives thorough inspections and detailed solutions to their pest control problem. Contact us today for a Free Lafayette Pest Control Inspection. Arrow Termite & Pest Control has served the Lafayette community for almost 60 years. Lafayette pest control comes with challenges, but we have helped hundreds of customers over the years and killed more bugs than we could possibly count. Each of our clients receives thorough inspections and detailed solutions to their pest control problem. Contact us today for a Free Lafayette Pest Control Inspection. We service the following cities and parishes: Lafayette, New Iberia, Morgan City, Breaux Bridge, St. Martinville, Eunice, Broussard, Acadia Parish, Iberia Parish, Lafayette Parish, St. Martin Parish, and Vermillion Parish. If you are building a new property in the Lafayette area, pre-construction treatments are an invaluable service. Most bugs are constantly on the lookout for a new food source or shelter. Our commercial pest control treatments and new home services prevent pests from showing up at your doorstep. Contact us today for a Lafayette Commercial Pest Control inspection. Kick bugs to the curb with one of our pest control plans! Each program is customized to fit your needs and stop insects from popping up. Arrow Termite & Pest Control has treatment methods for roach control, rodent control, pantry pest, bedbug extermination, and flea extermination. Our Mosquito Misting Treatments effectively eliminates mosquitos at all stages of life. Contact us today to schedule your free home consultation. Want to save money on your home’s energy bills and prevent bugs from infesting your home? 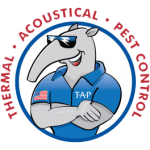 We offer TAP Pest Control Insulation in your area! Termites cause more damage than any other pest in the United States. Homes and businesses are slowly eaten away by termite colonies who thrive once they come across a sustainable food source. Arrow Termite & Pest Control specializes in preventative treatments and performs termite elimination services. We use the Sentricon Baiting System, Termidor Termite Liquid treatments, Bora-Care treatment and Tap Attic Pest Insulation to protect homes from costly termite damage. Contact us today for a free termite inspection. Every inspection is eligible to receive a WDIR (termite certificate) upon request.